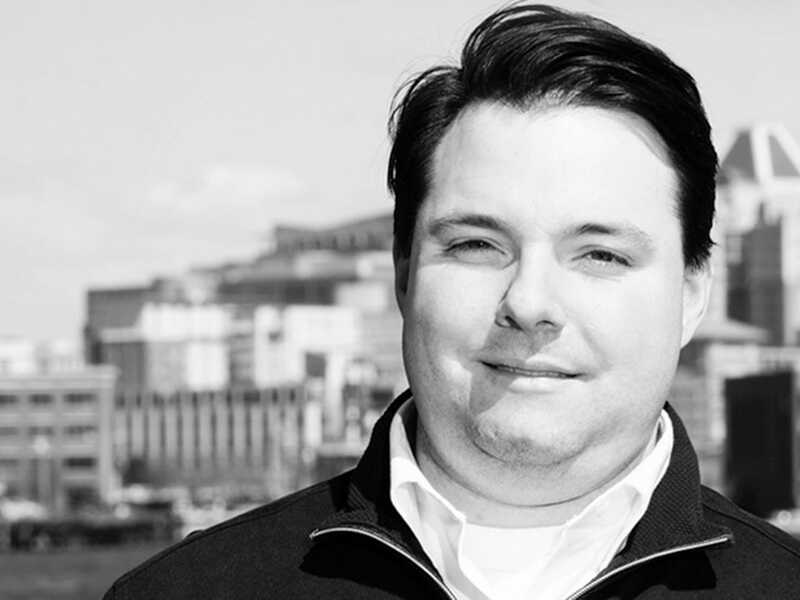 AOLAOL platforms chief technology officer Seth Demsey. For AOL, 2015 has been a landmark year: In April it launched its big bet on programmatic in the One by AOL platform; most prominently, June saw Verizon complete its $US4.4 billion acquisition of AOL; and later that month, Microsoft announced it was handing over its display advertising business to AOL. The level of excitement as to what comes next is evident in AOL Platforms chief technology officer Seth Demsey’s voice when Business Insider chats to him over the phone. “For me, there couldn’t be a more exciting time to be in this business, with this corporate structure, and these resources. I wish had had joined now rather than four and a half years ago, because this is the right time to be here. I needed to work here to get to this point, but for me, it’s almost like the journey starts now. It’s going to be pretty awesome,” Demsey said. He believes the “bellwether deals” with Verizon and Microsoft came about partly because AOL made a conscious decision around four and a half years ago to concentrate on applying data science and machine learning throughout the business. The “democratization” of data science, as he calls it, has been achieved partly through acquisitions — such as advertising attribution company Convertro and content personalisation software Gravity — but by allowing diverse people and different teams around the business to gain expertise in the area, rather than the discipline just being siloed to “ivory towers” in Palo Alto. AOL has data and machine learning “guilds” who share articles and research across 10 of its global offices, for example. The kind of people working on data science and machine learning range in backgrounds from commercial, academic, science, and even through to military in some cases, Demsey said. “How do you get one of the world’s largest and most sophisticated publishers [Microsoft] to wholesale switch to your technology if you’re not great? These are sophisticated, smart, experienced customers, now partners of mine. I can’t wait to do this. That is my validation that we have built greatness,” Demsey added. Demsey believes that proof that the strategy has paid off can also be found by looking at the gross advertising value of AOL’s platforms — revenue in the AOL Platforms business grew 21% to $US279.8 million in the first quarter of 2015 — or Forrester Research naming AOL a “leader” in the demand-side platform space, or simply that AOL is winning business from its competitors. 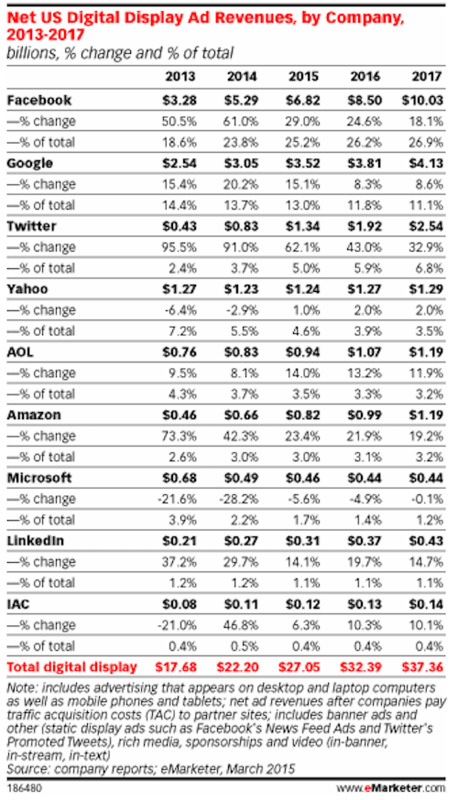 That said, while its share of the digital ad landscape is growing, AOL is still behind rivals including Yahoo, Twitter, Google, and Facebook. 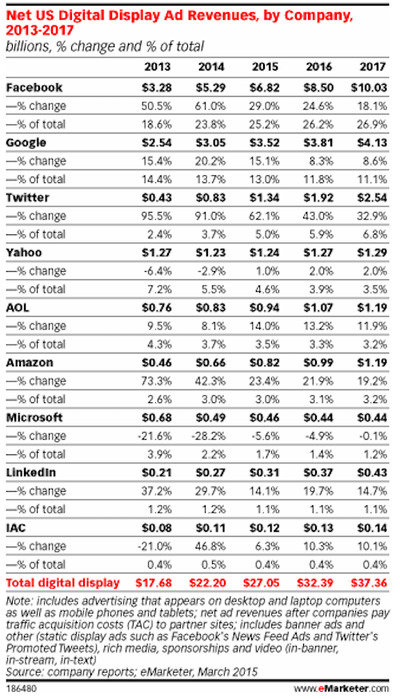 AOL is estimated by eMarketer to take a 3.5% share of the US digital ad market in 2015, behind next closest rival Yahoo with 4.6%. Demsey says the last 12 months have been a period of “acceleration” for AOL, based on CEO Tim Armstrong’s “vision and patience” over the past four to five years in understanding the investment and time it takes to shift to becoming a big data company. With the Verizon deal now official, the best is yet to come, according to Demsey, who revealed the first people he is working with at AOL’s new owner are the employees and executives within its data science labs. Many analysts immediately assumed that one of the greatest benefits of linking Verizon with AOL was the carrier’s wealth of verified user data that can be used to better target, serve, and measure ads. But Demsey says the plans are far more creative than that.